A revelatory, redemptive, and “wild...juicy” (Rolling Stone) memoir from the lead guitarist of the legendary hard rock band Def Leppard—the first ever written by one of its members—chronicling the band’s extraordinary rise to superstardom and how they maintained it for three decades. Meet Phil Collen. You may know him as the lead guitarist in Def Leppard, whose signature song “Pour Some Sugar on Me” is still as widely enjoyed as when it debuted in 1988. Maybe you’ve heard of him as the rock star that gave up alcohol and meat more than twenty-five years ago. Most likely you’ve seen him shirtless—in photos or in real life—flaunting his impeccably toned body to appreciative female fans. But it wasn’t always like this. Collen worked his way up from nothing, teaching himself guitar from scratch and slogging it out in London-based pub bands for years; that is, until Def Leppard formed and transformed from unknowns to icons, from playing openers in near-empty arenas to headlining in those same stadiums and selling them out every night. But as Collen discovered, true overnight success is a myth. Like the other band members, he had to struggle and fight his way to the top; in the end, he says, “our work ethic saved us.” Just as it still does. Adrenalized is an amazing underdog tale featuring a bunch of ordinary working-class lads who rose to mega-stardom, overcoming incredible obstacles—such as drummer Rick Allen losing an arm in a car crash and the tragic death of guitarist Steve Clark, Phil’s musical soul mate. 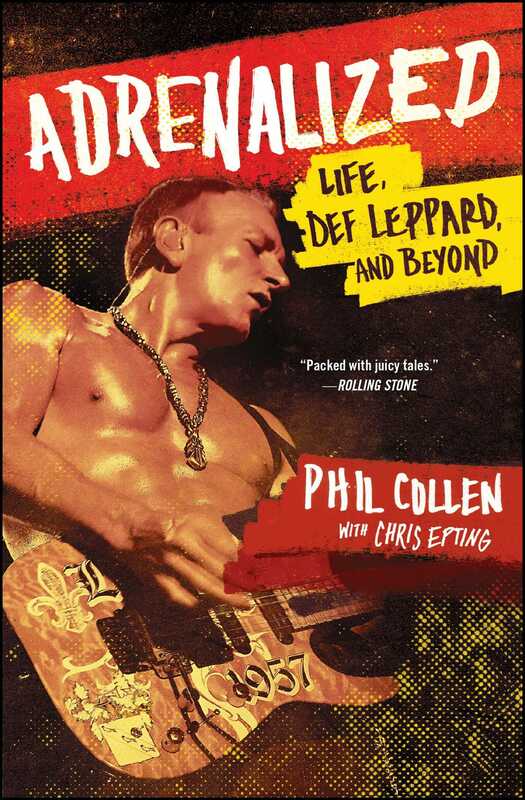 Featuring personal, never-before-seen photos of Collen and his band mates on stage and off, Adrenalized is a fascinating account of the failures, triumphs, challenges, and rock-solid dedication it takes to make dreams come true.